Salmon – Salmon is packed full of Vitamin D and calcium. Both are essential for oral health because they allow your body to better absorb calcium. Carrots – Carrots are the cavity fighting vegetable. These bright orange beauties are high in keratin and Vitamin A. These support the body’s attack on plaque and strengthening tooth enamel. 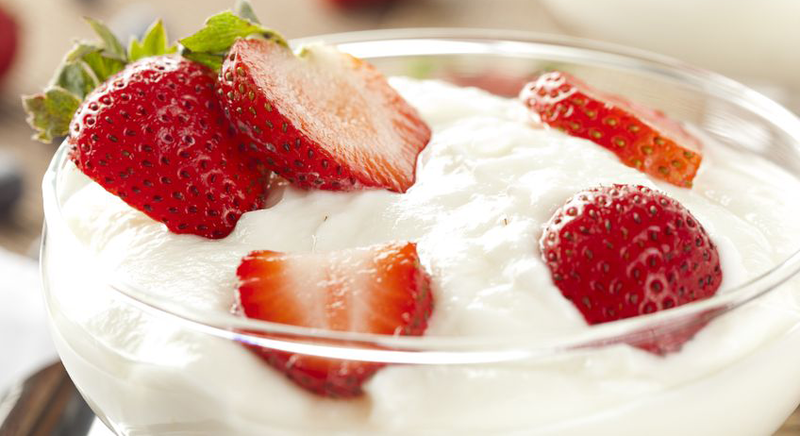 Yogurt – Yogurt is a healthy snack full of casein and calcium. Both help strengthen enamel and repair any damage. Apples – An apple is a “superfood” for your oral health. Eating an apple is not only delicious but the chewing it requires is a great workout for saliva production. An apple’s natural sugars help to neutralize harmful acids in the mouth. Strawberries – Did you know that eating strawberries help to keep stains off your teeth? They are full of malic acid, which is a natural whitener. A combination of a healthy diet with good daily oral hygiene habits will keep your smile bright. And don’t forget regular dental checkups. Give us a call to make your appointment today!